The vagus nerve is a cranial nerve extending from the brain stem to the viscera. 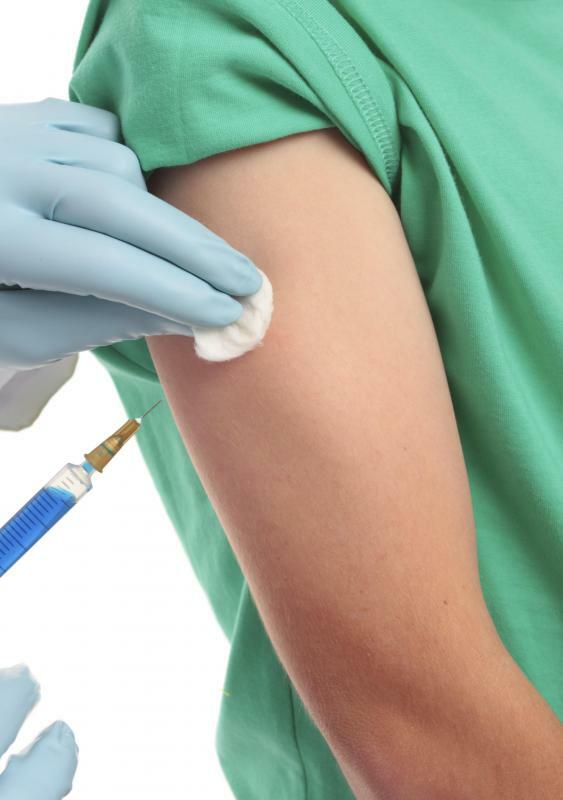 Patients with oversensitive vagus nerves may faint at the sight of needles. Excessive stimulation of the vagus nerve may cause someone to faint. When the vagus nerve is over stimulated, some people may lapse into coma. The vagus nerve is either one of two cranial nerves which are extremely long, extending from the brain stem all the way to the viscera. The vagus nerves carry a wide assortment of signals to and from the brain, and they are responsible for a number of instinctive responses in the body. You may also hear the vagus nerve called Cranial Nerve X, as it is the 10th cranial nerve, or the Wandering Nerve. A great deal of research has been carried out on the vagus nerve, as it is a rather fascinating cranial nerve. Vagus is Latin for “wandering,” and it is an accurate description of this nerve, which emerges at the back of the skull and meanders in a leisurely way through the abdomen, with a number of branching nerves coming into contact with the heart, lungs, voicebox, stomach, and ears, among other body parts. The vagus nerve carries incoming information from the nervous system to the brain, providing information about what the body is doing, and it also transmits outgoing information which governs a range of reflex responses. When the vagus nerve is stimulated, the response is often a reduction in heart-rate or breathing. In some cases, excessive stimulation can cause someone to have what is known as a vaso-vagal response, appearing to fall into a faint or coma because his or her heart rate and blood pressure drop so much. Selective stimulation of this nerve is also used in some medical treatment; vagus stimulation appears to benefit people who suffer from depression, for example, and it is also sometimes used to treat epilepsy. Most of the time, you don't notice the actions of the right and left vagus nerves, but you probably would notice if this nerve ceased to function as a result of disease or trauma, because the vagus nerve is one of the many vital nerves which keeps your body in working order. Without the functions of the vagus nerve, you would find it difficult to speak, breathe, or eat, and your heartbeat would become extremely irregular. What Are the Treatments for Vagus Nerve Disorders? What Are the Pros and Cons of Vagus Nerve Stimulation for Depression? 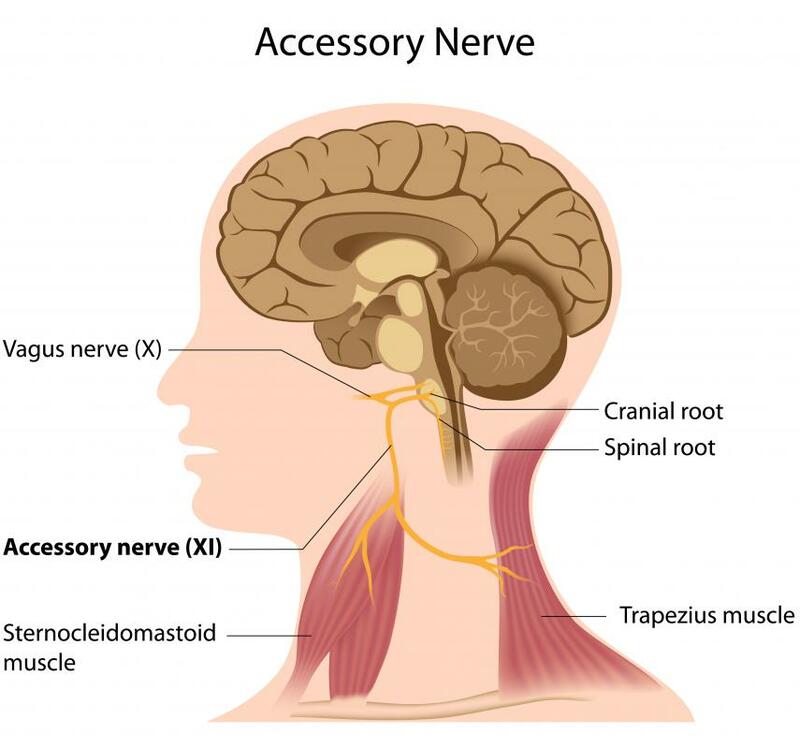 What Are the Different Types of Vagus Nerve Damage? What Is the Function of the Vagus Nerve? What Is the Connection between the Vagus Nerve and Fainting? I too pass out. Since January 2017 its been 20 times. I've discovered that meclizine helps prevent the passing out as long as I take it regularly. Has anyone else noticed this? Thanks. I was just told my Vagus nerve is no longer working in my digestive tract. There have been many changes but nothing whatever. It is what it is. The specialists say it goes from the stomach to the heart. Is the whole nerve dead or just the part to tell the brain to stimulate and digest? POTS does not cause your heart to stop beating. POTS is dysregulation of the autonomic nervous system. POTS is characterized by a 30bpm increase in heart rate when standing. Florid pots is characterized by a sudden and rapid decrease in blood pressure. Hyperadrenergic pots is characterized by abnormally high catecholamines. POTS causes orthostatic intolerance, which in turn causes the blood pressure to drop when standing and changing position which may cause you to faint. This is remedied by lying down.
. POTS symptoms do improve when lying down, e.g., dizziness, nausea, lightheaded, weakness, heart palpitations, etc. So basically, when a person with POTS stands up, the heart pumps faster to help keep the blood pressure up, and try to help the blood in their body reach their brain and other vital organs. The body of a person with POTS does not respond to gravity the same way a non-POTS person does. This is what POTS is. I have a-fib, lifelong constipation, had a lot of migraines and fainting as a child and my optic nerve is less than 1/4 size it should be. I am not diabetic. When I was a child, I vomited with my migraines and they lasted a day. When I got older, I quit vomiting and they lasted three days, once every month. I don’t have migraines now. still have it, and it’s getting more and more frequent. An episode won’t quit on its own. I went 30 hours once before going to the ER. I learned to take flecainide from internet posts. It was hard to find a doc who would prescribe it. They were all focused on my blood pressure. I went to the ER many times before I learned what to take. I ran out of pills once, and had to go to the ER. I told them what to do, and that I would leave in an hour. They did it, and I did. The book is not written on a-fib. We are writing it now, as we go. We are the experts on this and every other vagus nerve problem, and God knows how many other conditions. The internet is changing the face of medicine. An FYI to anyone who has an uncontrollable, intense fear of needles. As a nurse, I have started many I.V.'s. So I have seen how this extreme anxiety can stimulate a vagal nerve response. It's always the same sequence of events: breathing becomes rapid and shallow, beads of sweat start to form on the forehead, and the person loses their natural pigment and becomes ashen. Checking the blood pressure will show an extreme drop. If you have this fear, and or have experienced this reaction to needles, please let your healthcare professional know this so steps can be taken to prevent or alleviate this reaction. A vagal response is not going to kill you unless you faint and bash your head in on the way down! A val salva manouvre such as straining on the toilet, laughing, coughing, etc., can help an episode or in extreme cases (prolonged coughing, laughing, etc.) can cause an episode. Straining on the toilet is a common cause of a burst aneurysm in the brain (stroke.) This is in the already very sick or very elderly population. Paramedics see a lot of this. vagus nerve and every other part of your body and gives you a fatty liver and a fatty heart! You can cut the vagus nerve (all nerves to the heart) and the heart will continue to pump and keep you active for many years. How to get better from vagal episodes: Don't eat food you are allergic to. Don't eat too much food in one sitting. Stop smoking. If you are overweight, lose the fat. Pay attention to the posture of your neck. Do not crane it forward looking at the computer screen, etc. Pay attention to your posture; do not put your elbows on the table for long periods of time or lie on your side while typing. Bad posture can shorten the levator scapula, which raises your shoulder blade to impinge on the Brachial plexus/vagal nerve. Also, the tightness of your neck muscles (scalenes) can squeeze the vagal nerve, causing a response which would include tightening of the stomach. If the problem is postural, try doing triceps dips to help relieve pressure, or at least put arms akimbo to release pressure. For some reason, this vagal response is "normal" in teenagers, especially girls. Hormones? Doctors don't really check for vagal response because it is just an inconvenience, not life threatening. The underlying cause should be sought. Try eliminating the obvious -- see list above -- and also have your eyes tested, see an ENT for vestibular dysfunction (makes you dizzy) among other possibilities and check to see that you don't have any abscess/rotten teeth at the back leaking gunk and inflaming near the nerves. Finally, to help your nerves, supplement with B complex vitamins and take extra B3 (regulates your cholesterol with no side effects) and B6 and B12 help repair damaged nerves. Lastly, for the Lyme disease guy: Taking vitamin C intravenously and orally for up to one week will eliminate the lyme bacteria. My father has atrial-fibrillation and arrhythmia, both of which he was successfully treated for and was living a normal life. Ten weeks ago, he suffered a twisted bowel and had to undergo surgery to remove one meter of his upper bowel. The surgery appeared to be successful, however, he ended up aspirating while sedated and got pneumonia. They tested his swallow, determined it to be weak, put him on a very restricted dysphagic blended food only diet with only nectar thickened fluids to drink to prevent further pneumonia. His weight dropped from 169 pounds to 142 pounds within two to three weeks. but increasing in severity as he lost weight. These episodes only occur during bowel movements, which I have read can occur when a person strains. My dad does not, however, strain at all. He has said from the get go that there is no need to strain, he just lets it happen. Unfortunately, his health care has been disjointed resulting in conflicting diagnosis and 10 weeks later, they are no closer to figuring out why this started. They are not admitting to the surgery being a cause, and removed all of his arrhythmia and atrial-fibrillation mess to prevent low blood pressure. This, in turn, brought on major angina attacks (one lasting two hours) -- it's amazing that my dad has survived his revolving medical teams' treatment. The problem compounded by the myriad of 'residents', whom I now refer to as enthusiastic but inexperienced, puppies, who flit in and out giving conflicting instructions to the poor nurses. My point is, I don't think the medical profession has a foggy clue how to properly diagnose, treat or correct procedures that have triggered, vaso-vagal syncope. not feel it, though, and it takes another three minutes or so and starts again. Again I won't be able to sleep at night. I think I am still awake while I am sleeping. I will still feel like I am doing the wrong things, like changing from one subject to another, until I open my eyes and see that I was sleeping and wonder why I am still thinking like this while I am still sleeping. I just need assistance from a professional doctor who can take this pain away from me because it getting too much these days. I have come across this website after researching the vagus nerve following a friend's death. I am still none the wiser. The report following his death was vagal interruption. He was only 26 years old and was quite happy half an hour before he died. I am still in shock. All I can say is this is something I have never heard about. I have read posts on this thread saying your heart will automatically restart if you lie down. Well, this does not seem to be the case. It's worth noting that there is a condition called POTS (postural orthostatic tachycardia) and this is also related to the vagus nerve and can account for a lot of symptoms on here. I know this because I have it, as well as getting heart pauses and extra beats. It works like this: the vagus nerve, if malfunctioning, drives the blood pressure low and sends signals to the heart to compensate for this, so the heart gets faster and faster until the blood pressure catches up. This can cause a whole load of symptoms, like dizziness, fainting, getting lightheaded, vomiting, headache and heart palpitations, but the good thing is it is not dangerous. will simply stop because it's run out of ideas, but here is the catch: as soon as you lie down or collapse, it restarts and will every time. Your blood pressure will return and you're back to normal. This is a newly diagnosed condition and is thought to be related to the vagus nerve. Please, if you have these symptoms in any way and you have been checked out treated or just told you are O.K., then you must find the strength to pick yourself up and keep going. Do not stop. You might be scared and fearful of death, but if you are going to die, there is nothing you can do about it and sitting at home dwelling on it won't make a difference. You must fight, continue your life and keep going. Anxiety is you. It's your thoughts that drive it. Once you stop fearing death, you can continue your life. What I mean by that is it doesn't matter what you are doing. Nothing is going to happen to you. Continuing your life is the answer. If you work, then carry on. If the worst is going to happen, it will, and it doesn't matter if you're in bed too scared to move or out running a marathon. Your body decides when it's time, not you. But you can help yourself by walking and looking after yourself. As long as you do your bit, the body will do its bit. The vagus nerve is a fascinating thing and controls most things we so heavily depend on, but we can help ourselves. We need to just take care of ourselves and trust the professionals. Like my doc always says when I see him, “Well you're still here alive. Now do you believe me?” That is something to always remember: You're still here reading this and you will have a long life! Two days ago my daughter was sitting at her desk in class. A feeling of nausea came over her and then everything went black and she went unconscious and fell out of her desk to the floor. Her eyes rolled back in her head and she lost control of her bladder while she was "out." She woke up a minute or two later when she felt the urine running down her leg (maybe that's what snapped her out of it - I don't know) to see her teacher standing over her saying her name. done next week. Apparently, losing control of her bladder made the doctor think the episode might not have been caused by her Vagus nerve. She has had a history of headaches - not seriously painful ones, but far more frequent than I would like. She also has a lot of food intolerance. They're not true allergies, but I wonder if that might play a role if it was her vagus nerve that caused the incident. It's all very scary. Caffeine is one of the Vagus' greatest enemies in American society. The withdrawals from the addiction are hard, and can even last two to three weeks. But millions of us torturing our nervous systems with caffeine and have no idea what's wrong! Just try to go without it for one month (save the money you would have spent on it) and then go pick up your favorite caffeinated beverage. Within the next couple of days, you will experience nausea, restlessness, headache, dizziness, brain fog and irritability that may lead to anger. Use the intense cravings you have when you try to stop as a reminder of how much it has a hold on you. Welcome to a healthier you! @Post 50: I have had two episodes of this in the last 18 months. The first one lasted nine weeks. I now have it again since suffering a trauma this year. It lasted 12 weeks this time. It's impeding my life and making me feel really poorly. I'm dizzy, lightheaded, have a ringing in my head and low blood pressure. I'm scared it is not going to go away this time, which makes me anxious and makes it worse! Any help is greatly appreciated. to stop from falling over. I feel nausea. Then it feels as though I get a rush to the base of my head, and something feels like it is spasming at the base of my skull. Sometimes my head shakes and it feel as though my eyes are going to roll back and I'm going to have a fit. I have never actually had a fit. Both my breathing and heart rate appear to speed up. These "attacks" come in waves and can last anywhere from 2-10 minutes. Sometimes they happen several times a day and sometimes I may not get one for months. I've had all the usual bloods done and checked for intolerances but there is nothing unusual. It is completely random which makes it hard to pinpoint causes. The only thing I have noticed is that it appears the more active I am in my daily life, the worse the attacks seem to be. I passed out about a year ago in class. I just felt warm all over. I went to the ER and stayed in the hospital for three days. They ran lots of tests and said it must have been a vagus nerve stimulation. It happened again the other day and I felt the same way, but I was driving. I wrecked, but luckily I didn't get hurt or hurt anyone. It was very dangerous. What can be done to prevent these? I'm scared to drive again. My mom has been getting severe headaches while she passes stool Is the vagus nerve the cause of this? her blood pressure also increases during this. Please help. I bought myself a Scalarwave Laser on the recommendation of a friend. They manufacture them in the US and, though expensive, it has been the best investment I have ever made. Put the laser on the back of the neck, on the vagus nerve, and in time all of these symptoms clear up. I have had back and neck problems all my life, following a fall from a great height onto a concrete balcony onto my head when I was three. I am now 65. I had to have a piece of bone lifted off my brain. The shock and trauma sent shockwaves through my whole spine. For over 20 years I had ongoing fainting fits. At the age of 14, my father was taking me to get my hips aligned on a regular basis. When I was pregnant with my children, it was common for me to get constipated, resulting in black-outs. I would wake up face down on the floor. lot because I am concerned about my health and want to know all I can find out to help myself. I discovered that when the atlas is out of alignment at the top of my neck, I cannot think straight; my brain feels like I am trying to think through a cloud of cotton wool. I also discovered that when my axis in my neck is out of alignment, I get horrendous headaches that nothing will shift. My father, who was a natural therapist of long standing, taught me the value and importance of the spine being in alignment. I have massages as often as I can afford them. I do Tai Chi warm up stretching exercises regularly. I also go to a great osteopath for aligning my spine as often as I need to. I can't stress enough how valuable cranial alignment is, done by a qualified cranial worker who is an expert in this specialised field. I also take courses of Swedish Bitters at least twice a year and drink a good quality Aloe Vera juice – both invaluable for the digestive system. I do not go to MDs as they do not usually understand how the body is all connected and how everything affects everything else. I follow my “nose,” which has never let me down. I hope this helps. I just had an egg size lipoma removed from the base of my neck and for the first time in ten years I do not cough all night and wake up gagging so hard that sometimes I vomit. I used to think it was caused by sinus drainage or allergies. This has changed my life!! I told my surgeon I am going to give her a big hug at my follow up appointment. I've had the strangest episodes, about one week apart. Both times I've retired for the night, but I often don't fall asleep right away. On those two occasions, it felt like my heart had stopped momentarily. I could not feel my pulse for about seven seconds, then the pulse came back. I felt no pain or any other discomfort and was fully aware mentally. What could be causing this? I've done a lot of reading about the vagus nerve over the last two years. I think a lot of my problems, such as arrhythmia and feelings of anxiety, come from stimulation of the vagus. I have a shortened psoas muscle witch often goes into spasm, and I have a lot of intestinal and stomach gas. I'm likely allergic to or have a sensitivity to a certain food. Both of these things can stimulate the vagus nerve, wreaking havoc. Of course, the good news is that physical therapy targeting the psoas through hip flexor stretches and core strengthening, and finding and eliminating the allergen, will help with these other symptoms. This just happened to me. I laughed so hard, so hard, I passed out for a second, but then I started to breathe and I feel a bit groggy, so I am googling it now, but everything seems back to normal now. I smoked cigarettes for 10 years, and quit two years ago to this month because of what scared the daylights out of me. I would cough so hard that I would pass out. It happened while I was driving once, and that scared the living crap out of me and my girlfriend. I knew then it was time to quit smoking and I did. The coughs/chest colds went away completely and it never happened again, except for tonight while I was laughing very hard at a video. For me, I'm sure it's from being overweight. Yeah, quitting smoking made me gain a bit of weight. Hope this helped someone. My continual fainting and arm and leg pain is from autonomic polyneuropathy and syncope. I have years of damage from systemic Lyme Disease from a tick bite near Seattle in 1985, which caused myelin erosion leading to vagus nerve dysfunction. Standing up from sitting or lying down and mild heat stress are my triggers that lead to complete heart stoppage and blood pressure drop to zero. A tilt test confirmed this strange nerve-heart-blood pressure disease. This may lead to death at anytime or if the Lyme can be controlled, perhaps slow regeneration of nerves can take place to some degree. wife leaving, taking all my money as I lay in bed sick as hell, soon to be homeless with an attorney who does nothing. Great life. All from a stupid tick bite one summer day on Mount Pilchuck as I worked for the State of Washington, which says diseased ticks do not exist in their state. Officials get mad when asked how does a tick know about state borders? Do they choose deer, rabbits, lizards and birds to live on that do not migrate? Dumb! --Kitstick. I keep on having these moments when my body shuts immediately and then restarting. This happens continuously during the day. What is the problem? No one can tell me? Please help. @anon206700 - post 59: I forgot to mention that I was diagnosed with Celiac Disease 10 years ago (gluten intolerance) and after going gluten-free my vaso-vagal response became very rare. Probably because I rarely have any stomach upset these days. Thankfully! @anon206700 - post 59: I have the exact same thing. It is usually triggered by a stomach upset. Last time it happened I was in a long-haul flight and passed out twice, trying to get to the bathroom. The stewardesses thought I was dead because they couldn't feel my pulse. (Blood Pressure drops drastically) When I finally got to the bathroom and recovered, they asked my husband if I had a drinking problem! I think I have been having problems with this nerve for many years. I pass out from what I thought was pain, and the head/neck injury. The things that makes me feel better and decreases pain are massage therapy (reflexology) yoga, physical therapy, B12 3 (five times the normal dose). Some pain relievers work but I need to be limited about because it can cause liver damage long term. I also have a back stretcher with the big ball and arm rises, traction and a neck brace. I think the inflammation needs to be reduced by the use of cold packs and therapeutic movement. they really do help, but not enough. Thank you everyone for sharing your stories. You guys are better than a room full of caring and excellent doctors. I did have a good ear, nose and throat doctor tell me that there is a therapy for people with head trauma to calm that nerve down, but it something that needs to be done for the rest of a person’s life. This article and site is the most helpful that I have seen in a long time. I learned more here than from any of my doctors. I am posting this in hopes of similar cases and documentation. My husband had these strange sensations in the torso of his body and heat sensation running along the inner thigh. (In the stomach/chest area). Therefore all the heart tests have been done, like a stress test, heart scan and heart cath and all are clear of blockage or disease. There are no blood pressure problems either. injected. These feelings subside with exercise and the episode goes away within four to six weeks. My husband has been examined by his physician during one of these episodes, with no diagnosis. I truly hope there is someone who has an answer. I don't know what happened, but I was standing watching my friends play monopoly and the next moment I was staring at the ceiling and don't know why. Can anyone help with it? I has happened more than once. I'm only 13 and its starting to scare me. Vagus nerve attacks are the scariest thing! I've become so accustomed to them now though that I can almost control them and make them less severe. Here's my history if it helps anyone. bathroom is what actually keeps me from passing out because if I continue to stand, I start to lose my vision and almost pass out. Anyway, when I am in the bathroom, it feels like someone is squeezing my stomach from the inside which makes me start to vomit also. All the while, I go completely pale and sweat like a madman. I mean, I have beads of sweat even pouring down from my calves -- that's how much I sweat. It's like my body just flipped on the emergency output switch -- everything's got to come out. This usually lasts for about 10 minutes or so. I usually sit on the toilet hunched over, because that helps relieve the symptoms a bit and eventually it starts to subside. This has happened to me about 20-25 times in the past 12 years. Sometimes it happens two or three times in a week, then it won't happen for months and months before it comes back again. Recently I was having other stomach issues and losing crazy weight and saw a doctor about that. I told him about this problem and he identified it as a vagus nerve stimulation problem but never told me what to do about it. Since my stomach issues have gotten better, this hasn't happened as much until just a few minutes ago, which prompted me to find this forum. I have a funky ankle which cracks like crazy. I broke it twice when I was a kid and ever since, it's been a cracker. Well I was just sitting at my desk and my ankle cracked and it felt a little weird -- a little stiff and it hurt a bit, which it never does. A minute later, I got light-headed, started to sweat and got a little nauseated. I had a little vagus nerve reaction from an ankle pain! How is that possible? Luckily, this one was nowhere near as bad as usual, but I did have to sit down again as I was on the verge of passing out. That's the scariest thing: when you are seeing normally, then the lights just start going out. Yet the whole time, I am completely aware of what's going on. It's very freaky. The bad part is that I'm so used to it now, it doesn't freak me out anymore. I'm a little worried that one day I'm going to have a really serious attack but not know how serious it is because I think it's just another normal one. Anyway, not sure if this helps anyone or anyone experiences it like me. But it's good to know I'm not the only one out there with this problem. RE: Post 55: My husband has these passing out spells for over a year now (following a traumatic head injury). When we told our PCP about it, he said my husband would basically have to be having an episode so that the doctors could know exactly was going on. So last week when an episode occurred for over two hours on and off, I called for an ambulance to take him to the ER. He was almost totally unresponsive when the paramedics arrived and passed out again in the ambulance en route to the hospital. of the vagal episode. He has been referred to a cardiologist and a neurologist for further testing. What scares me is it seems as if each episode is worse than the last and what will I do if I can't bring him around like I have in the past? Any thoughts would be appreciated. I recently had a vasovagal episode. It was the strangest thing. I took a drink and when the liquid hit my stomach it caused a sharp pain. The next thing I remember was being disoriented. I couldn't move and my eyesight was blurred. I actually was lying on the floor staring at the ceiling watching the lights above me swirling. I had no idea what happened to me. I went to the ER and was told I had a vasovagal episode. I guess the pain in my stomach triggered the response. I had no warning signs before I lost consciousness -- just the pain in my stomach. This was a very scary thing. I hope I never experience it again, but the doctor told me I very well could. I will have to be careful. I have the same prob. as eiosbo post 4. When I vomit I pass out, pretty much every time. Once it happened three times in a row. One of the episodes left me hanging over the bathtub with vomit in my nostrils. Very scary, as I was pregnant at the time. Now when I vomit, my husband has to literally hold on to me so I don't hit the floor. Is there a way to counteract this response? My son passed out three different times within an hour and was finally transported to a hospital by ambulance. By the time he got to the hospital, his heart rate dropped to 27. The hospital ran several tests, however no cause was determined. Has anyone had this happen to them? I am interested in vagal nerve stimulation for chronic depression. Does anyone know how much this costs, as it is not covered by most drug plans(Canada). My depression is drug-resistant, going on 17 years now, and I prefer the idea/side effects of vagus nerve stimulation to the option of electro-convulsive therapy. I would rather lose my voice or be nauseated than lose my memory and concentration. I'm pretty easy going - don't stress about much but 20 years ago, did a return to nursing an hour away from home when the family was young and husband had had a breakdown. After six months at a frantic pace I started having episodes which woke me out of sleep with the sensation I was losing consciousness. Scary. heart beat was. Similar result. I went searching and diagnosed myself as I currently had peptic ulcer and esophageal ulcer symptoms and was taking mylanta or amphojel for relief of discomfort. I took sandwiches to bed and had a snack ready if I awoke so the hydrochloric acid was mopped up in stomach, which began to alleviate the ulcer which I believe was triggering the Vagus nerve. I went to church one Sunday and the preacher was a visiting healer. He said there was someone there who was experiencing frightening chest symptoms and if they came out he would pray and they could be healed. I virtually jogged to the front and was told you have a spirit of death over your life. Made sense to me so I submitted to his prayer and was instantly healed in Jesus name. The scripture says, when Jesus was whipped at the whipping post he bore 39 lashes which tore his back to pieces and " by those stripes we are healed." This is a legal spiritual healing. Interesting there are 39 categories of disease medically. All can receive it. I did and was grateful. If you will say, or state, "By His stripes I am healed" because 2,000 years ago Jesus won my healing for me. Only say it over and over till you get it. Bless you all. Peepo. as an observer - not in a professional capacity of any sort. My daughter took me to the "Bodies Revealed" exhibition and I saw the vagus nerve. It starts at the base of the brain and spins and curls and weaves its way down to the large colon. This explains why it has so many responses and so few solid explanations. bearing down for a bowel movement could result in a VN massage causing black out. I can believe hard coughing doing the same, or a cancerous lesion in an opportune spot. I've read its suspected of causing epileptic seizures. This is the Satanic "miracle detonator" of so many physical manifestations. I suppose this really doesn't help the discussion a whole lot. I thought this website was manned by doctors giving answers, not opinions blogged in, but it has helped me to understand the situation a lot better. happens to me. Hmm, is memory loss due to vagus nerve? My son has been diagnoses with vasovagal syndrome, but the diagnosis does not really fit. His bp and hr do not drop, but go quite high during exercise. He had an exercise stress test and went very far on it, but his hr went above 200 and his bp was 240/60 when they stopped the test. He was lightheaded. That was the main reason we were there for the test. at the doctors (not white coat). It ranges from 122/60 to 150/90. He ranges from 70-100 and higher just sitting or standing. He is fatigued all the time and lightheaded a lot with cognitive troubles - reading comp and word find, plus increased stuttering. Any ideas? I have had this problem for years and there are some things you can do. usually lying down with your feet elevated and your head turned to the left may help. Basically, if it continues and impacts your life a great deal you can have a pacemaker implanted and that will take care of the vagal stimulation. Remember the warning signs are nausea, light headiness, dizziness, examination of the eyes, stress, sudden, unexpected pain. It is scary. @Anon137475: First, I am so sorry for your loss. Please accept my sincere condolences. Next, I am not a doctor, and have no medical training, so this is me just hazarding a guess. You said you knew your husband had pancreatic cancer and it had spread to his lung. However, you don't necessarily know where it might have also spread since his diagnosis. Most of the time, when a person has some kind of vagal episode, the body sort of "restarts" itself. This has happened to my mother twice. Each time, after a moment or two, it was as if something just switched back on and all was well. vagus nerve, or near it, it may be possible that the "restart" mechanism wasn't working properly because of a nearby tumor. Or, he might have had a tumor in his brain that prevented the "restart" function from working. As I said, I'm not a doctor, but that would certainly make sense. I know you weren't ready to lose him. We're never ready to lose those we love. My husband died in December. In October, he was diagnosed with stage 4 pancreatic and (L lobe of his L) lung. I don't fully understand what happened the day he died. He had developed a cough within the last thre days, but other than that, he was doing good. We were talking, he went to use the bathroom, I went in there about one minute later and he was in a total panic, wanting his portable oxygen. I *ran* to get it, and he was right behind me. turn his oxygen up -- too much would be fatal. He stopped talking as I told him (I thought he was listening to me and I had calmed him down). 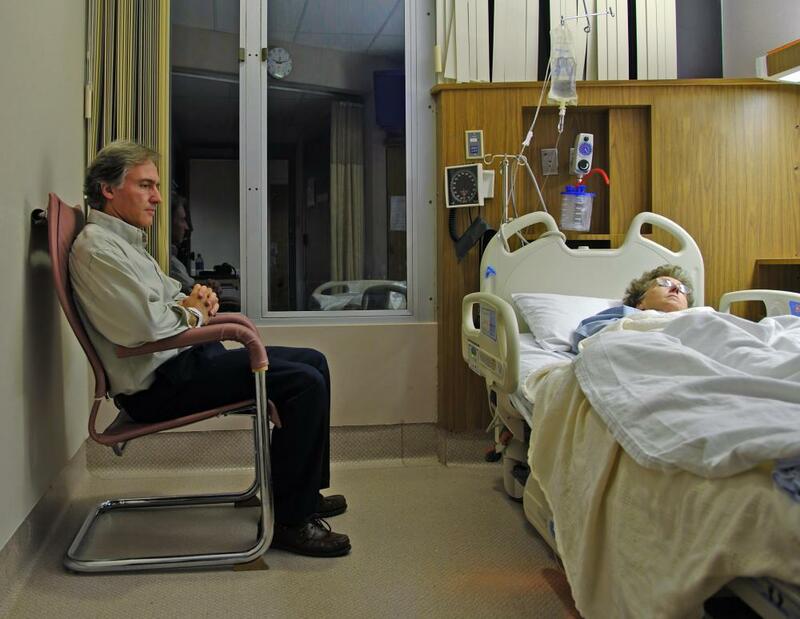 I then told him to lie down (on his hospital bed -- he was home) and he stood up, unassisted, took two steps and collapsed on the floor, with no vital signs. I called 911 immediately and they arrived in less than 5 minutes. Still in shock, I just kept repeating what I had witnessed in his room only at least three or four times. They told me it was an embolism, but then as I was telling it yet again, I included the part about how he was fine, then he went to use the bathroom. As soon as I said that, they looked at each other and their expressions changed immediately. I stopped what I was saying and asked them, "What is it? What just happened?" and they asked if he had had a bowel movement. I told them I had ran to get his oxygen so fast, I would have to go look (Later that day, I looked and he had). They told me it was all right, it didn't really matter. They were by no means being rude. Apparently just the fact that he had just went to the bathroom, then feeling unable to breathe, and fatally "collapsing" was enough to change the cause of his death from an embolism to "Vagal Response" secondary to his cancer. I have read everything today to do with the Vagus Nerve, but nothing explains, describes, connects (unsure which word to use since all would apply) what happened to him within those five awful minutes. I am so desperate to understand. This website was the best of all sites and that is why I am posting this here. So sorry for the length of this, I have tried to give all of you the entire story hoping and praying that someone will please, please help connect a "Vagal Response" with a five minute death. Thank you. what can be done to fix a damaged vagus nerve? can raising your arms cause your heart to race and skip? I have recently have been diagnosed with heart failure and pulmonary hypertension. I also have fibromyalgia, IBS, IC (bladder), sleep apnea, myofascial pain syndrome, neck pain and back pain. Could all of this be tied to the vagus nerve stimulation? How can I be checked for this? Can it be corrected? I have a friend who had a vagal schwannoma. They removed her tumour and left vagus nerve. Her speech is not very good anymore and she has difficulty with eating and such. Will she ever get back to how she was? What complications can she be looking at in the future? To #41, IMHO, as a non-degree Dr. Dad, I would say that your son's problems have no connection to this vagus nerve syndrome. On the other hand, my niece, as an infant, had a cyst on her neck that wasn't visible externally but caused her to vomit across the room. For an infant that was impressive. Kind of like "Rosemary's Baby". Get it checked out, please. my son has the following symptoms and wondering if it could be related to this: feels like he has drainage in throat, gags in the morning and can't eat. If he gets too full he sometimes throws up. My name is julie and i have a problem with a doctor cutting my vagus nerve and not telling me. I have been having all kinds of health problems ever since. where do i turn? thank you. any advice will help! @westing 68: An allergist told me to take otc allergy med. It does help but not the d (decongestant) -- that makes me worse. I take one every day since doctors don't have answers for me. i found out i had carbon monoxide poisoning which leads to multiple chemical sensitivities which i now have. Can't take any rx meds. Reactions to everything. I'm having some black out episodes and after much testing, still no concrete diagnosis. My episodes happen when I start to eat but they are infrequent. I have very similar health issues as noted in #35 and #24. The pain in head, neck, shoulder and around the back has caused me to visit the ER several times in the past and after tons of radiological and blood tests nothing appears out of the ordinary. With #24 I align with this problem at times of eating something and then feeling so faint and that my body feels like it is shutting down. It seems to happen when I am having allergy issues but when I see my doctor he does not see a connection. If anyone out there has a suggestion on either of these issues, please let me know. I get a sharp pain in the right side of my head then into my jaw line from there s stabbing pain that goes from just under my shoulder blade to my chest only on the right side. The pain is so intense that I go to emergency. They give me gravel pain medication and sometimes a pink lady. I get this few times a year. What could this be nobody seems to know. My heart always checks out fine. I also get loose stools with this. So, to answer a few questions. There are two types of "dizzy." There is spinning type dizzy, like sea sickness and motion sickness; this is caused by the inner ear. Then there is kind of a foggy/can't think dizzy, which is cause by a lack of blood flow to the brain. The second kind is what you will see in a vasovagal response. I have orthostatic intolerance which is, to put in simple terms, when the vagus misfires and my blood pressure drops from standing. Before I was diagnosed, I could not stand upright for more than about four minutes. not the fall that hurts but the sudden stop at the end." So in other words, it could be fatal if, for example, you pass out and sustain a head injury. The only other possible complication of a vasovagal response is if your body is unable to fall. Passing out is strangely very helpful because once you are on the ground, circulation returns to your brain. However, if for any reason your body is unable to fall, then your brain may become oxygen deprived for too long. Basically, a vasovagal response is generally innocuous, but very irritating if it happens multiple times a day. I had a VNS implanted about eight years ago. I couldn't stand it because of the way it made my throat feel every few minutes. Because it didn't really work and was so uncomfortable, I went back to my doctor. He said he would turn it off. The VNS is still in my body. Recently I am having body pains in my shoulder and upper knee, but only on the left side. I've been to the doctor and they've said "frozen shoulder" or "calcium deposits," but I think it may have something to do with this VNS! What's done on the vagus nerve while treating epilepsy and depression? thanks a lot for your great contribution in increasing knowledge of people. Comment #27: I'm no doctor, but I am observant about my body. I think you're bearing down to "poop" is the same internal pressure my body exerts when I'm in laugh mode; which, I'm told, massages the Vagus nerve causing my blackouts and your near-blackout. I'm not sure what you meant by "stroke" - a description of your symptoms regarding that would have helped some. I just had an echo stress exam, a carotid artery sound and a brain MRI because of very rare dizzy spells and that fainting thing (review my first comment, #22). If a response shows up and my testing is revealing I will pass that on as well. is vagal stimulation related to sea sickness or motion sickness? This is embarrassing but here it is. I have suffered from an attack on two different times. I was taking a crap where I had to push very hard. After the act of pooping, I almost fainted. It felt just like a stroke. I think I had a vasovagal response. I had inflammation of the vagus nerve recently, and my symptoms were low blood pressure, and a very low heartbeat. I also had pain upon swallowing, but that was to do with another nerve next to the vagus nerve (it gets complicated). But, all in all, I felt quite well throughout. I was treated with IV steroids, and oral morphine for pain, but had a quick recovery. I also have Wegener's Granulomatosis, which flares up every so often - which often carries with it other symptoms, as others have described. Just a thought. I suffer with anxiety. When it is at its worst, when I dry heave/vomit it seems to alleviate the nausea and I start to feel better. Could it be related to this nerve? and if so is there a way to stimulate it so that it doesn't do this? Felt like everything in my body was shutting down and I was dying. Continued having these attacks for two years. Five years later, after using a TENS unit for a slipped disk in my neck I went into vertigo and started with vagal attacks again. Continuously. I don't feel like I'm passing out --it feels like my body is shutting down and I'm dying. What meds will stop these episodes? Twice my son has gotten me laughing hard where I could barely breathe while playing board games, and once I had a severe cough where I kept coughing out repeatedly and couldn't inhale. All three times I went out like a light and immediately awoke on the floor - once with the EMS pointing their flashlight in my pupils. My doctor said it was my vagus nerve and the EMS said this was fairly common. Apparently nothing I can do about it except not laugh. I didn't notice a BP drop when it happened, just out! I'm on BP and cholesterol meds and overweight. Are these contributing to the problem, i.e., inner pressure on the nerve, or is it just something I'm blessed with? It's weird and would be very embarrassing and dangerous if it happened at work or while driving - though I don't laugh in those situations. But a cough. What gives? Any thoughts? #20 was my question about complications resulting from a cut vagus nerve during my lung removal. Doing further research, I believe it was the phrenic nerve instead, but my question is the same: Could there be long term complications with this? I had my right upper lobe of my lung removed about four years ago. Recently I heard the medical staff say they thought my vagus nerve was cut during the surgery. What problems could that cause in the future? currently, I don't seem to experience any of the things you speak of in the article at this time. Is there a connection between the vagal nerve and trauma resulting in severe headaches and vomiting in the client? I was to prepare for a tough competitive exam and i had colitis kind of problem. I didn't know what to do. then suddenly i realized that breathing in a particular way helped me. I cleared the exam but again the same problem came back. This was 17 years back. The problem has more or less persisted with me and i am a very unhappy person because of that. somehow i know the answer lies in breath control but so far i have not been able to do it. I am trying the sudarshan kriya of art of living and it has helped me only partially. can someone please help? I pass out when i feel a pull on the front left part of my neck. It almost sounds like a crunching cracking sound, my vision starts to tunnel, and my hearing goes faint and i feel queasy to my stomach and i pass out for a few seconds and i wake up and im fine. Could this be related to the vagus nerve? one of my friends has fainted couple of times all of a sudden. We were sitting and having a bite and suddenly he drops off the chair. he has no recollection of the matter except that he was unconscious for some time. Could this be because of the vagus nerve. If yes what is the medication?? I recently had gastric bipass surgery. Prior to surgery, my heart rate was normal. I had to go back and have a second surgery to enlarge the opening in to stomach and my heart rate if now bradicardia. My heart rate is now 48-50 beats per minute. I have undergone a series of cardiac tests and my cardiologist feels the venous nerve may have been damaged during the bypass surgery. Is this possible? i had a blockage in my carotid artery and had a TIA a few years ago. now there's a "growth" that is palpable and right on the incision line. I know it's scar tissue, but the "neck" doctor i saw won't say it. guess they're afraid it will reflect on the surgeon who did the endarterectomy. But this doctor *did* say that the growth was pressing on my vagus nerve. OK--call me kooky, but this *can't* be a good thing, huh? I'm also getting a scratchy voice and there's a thickening when i swallow. they already ruled out cancer. I've had an MRI and ultrasound. Ideas, anyone? Is there a possibility of a radial vagus nerve? I know the radial nerve is responsible for the pecks and triceps of the arm. Well I forgot my password to enter this as a member so again a slight delay involved. Can the type of vagal responses you describe be fatal? *Absolutely*. Now that you are aware of this where do you go next? Actually, being you didn't ask your doctor if these episodes could be fatal is a strong indicator you do not have a very good relationship with this particular doctor. There needs to be a good communication on both parts the patient needs to be comfortable enough to ask questions, if you are not I would find a new doctor or a "second" opinion. This is just my take on this particular case and in no way is a blanket statement to cover *any other questions*. The vagus nerve is being blamed for far too many ailments and patients often misdiagnose their symptoms as being vagus related after reading about the vagus system. Two years ago I had a cardio seal implantation device inserted into my heart to close a PFO. Since the procedure, I have had a number of “fainting” spells where my heart rate drops drastically. My husband says that I stop breathing completely. My cardiologist believes that these episodes my be classified as vagal responses. I currently have an implantable loop recorder inside of my chest, and I am also on beta blockers. Each time I’ve experienced an episode my energy levels remain incredibly low for close to 12 hours. I’m terrified that the next time I have one of these vagal responses I won’t wake up, but I’m tired of invasive tests and procedures. Can vagal responses be fatal? If you could please let me know I would greatly appreciate it. Can a person die because they were constipated and tried too hard to go to the bathroom and triggered this nerve somehow from straining? Sorry didn't log in so this might be delayed a bit. Your Dr. said the vomiting is caused by the vagus nerve? Or the passing out? Or both? Passing out while you are vomiting can be dangerous because you can easily choke on your own vomit. This scenario is nearly impossible to help with over the internet and especially without a plethora of additional information on your medical history. *Return* to you physician and ask your questions! The best bet is to write down all of your concerns and bring your note with you so you do not forget any questions. The internet is a wonderful source of information but a terrible place to ask for a diagnosis. Well those could be symptoms, but not likely ones. If you are asking for a diagnosis that is even a problematic one to make if you were standing in front of a doctor, I doubt you will find anyone that would be willing to make one here, especially without a whole lot more information. Here is another way to look at it... If you walked into the local clinic with diarrhea and a back ache the first thing to come to mind will not be a damaged Vagus Nerve. can damage of the nerve cause vomiting and back pain?